Reservations are still currently available for this event. 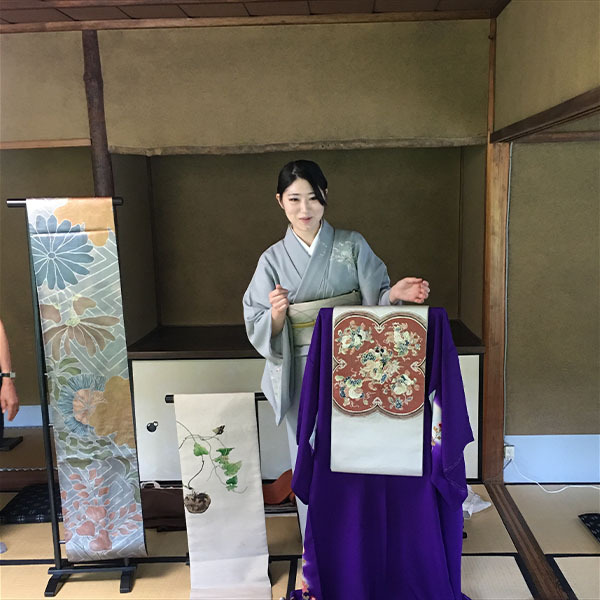 This lesson will feature a kimono wearing demonstration. The theme of our third lesson is winter. Enjoy the feeling of winter by looking at and touching these beautiful seasonal kimonos.